There are a array of charter yachts available for the Bay Regatta Regatta. We are please to offer these contacts to participants wishing to join or charter a yacht for this years Regatta. Please note that these rates are subject to availability and may only be available when booked directly with the charter companies. Beneteau First 44.7 Multiple winner of Kings Cup, TOGR, Samui Regatta, Raja Muda and Phuket Race week. 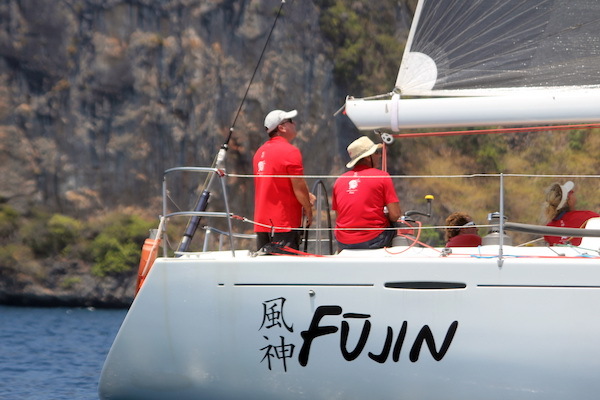 · Fujin is currently undergoing refit and will be race ready for Samui Regatta. The Pulse 600 is a 20ft folding trimaran from the company that pioneered the genre.In moderate winds, the Pulse 600 is slippery and a joy to race in. In strong winds, the boat will be a veritable adrenaline generator, with speed to burn. Both a standard jib and an asymmetric chute are rigged on roller furlers. The following companies offer arrange of yachts for charter to participate in the major international regattas in the region. Please note that all Bareboat Charters will require an Valid IRC Handicap Rating.